By joining one of our circles, you will be making an invaluable investment in our community, and assist us in preserving an important part of this country’s history. Take a look at the attached sheet that explains how you can join. If you have any questions or are ready to join, please contact Andrea Harlin via phone at 1-800-670-9049 or email buffalosoldiersla@gmail.com. 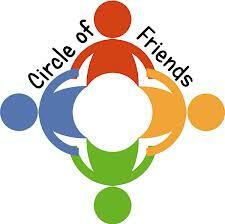 Please join our circle of friends! Your contributions are appreciated. • Contributions receive a Special Commemorative Gift, a video of Andrew Aaron’s Life, two books and their name Listed in the Donors Section of the Buffalo Soldiers website. Contributors receive a Special Commemorative Gift, a video of Andrew Aaron’s Life, and their name Listed in Donors Section of The Buffalo Solders website. • Contributors receive a Special Commemorative Gift and their name listed in the Donors Section of the Buffalo Soldiers website. • $250.00 Contributors receive a Special Commemorative Gift and their name listed in the Donor Section of the Buffalo Soldiers website.